[39% OFF] 2019 Wrap Colorful Striped Blouse In MULTI | ZAFUL .. It's the color season to flatter your styles! And it's also time to grab eyes in the crowd! 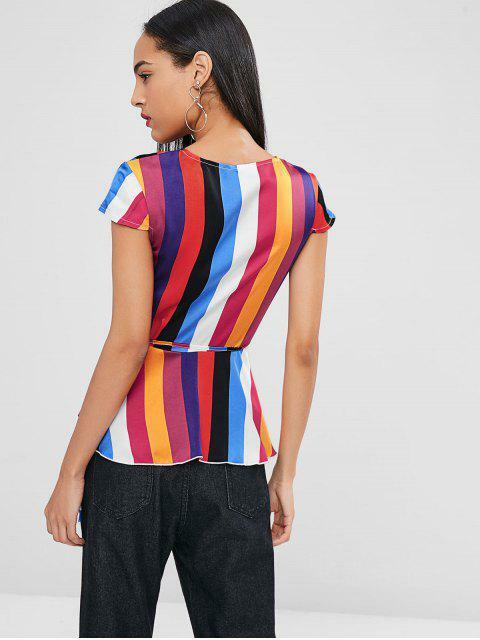 Featuring colorful wide stripes throughout, this wrap blouse has a tied closure at the side that makes a peplum look on the waist and cute cap sleeves. With soft and smooth fabric, you will fall in love with the comfort it gives.